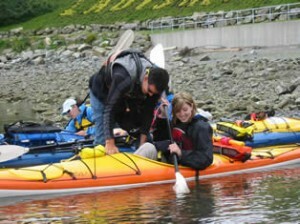 How to safely exit & re-enter your sea kayak in the event your boat should capsize. How to use your safety equipment to re-enter your kayak. Effective paddling techniques will allow you to manoeuver more efficiently, improve your endurance, use a greater variety of muscle groups and reduce injury & fatigue.